“This documentary made me believe in love!” I remember shouting to nobody in my living room, with all the hyperbole of a 21-year-old lesbian who had never been in love. It was 2015 and I had just watched the documentary Tig, a beautiful film that followed comedian Tig Notaro through her mother’s death, cancer diagnosis, and falling in love. Of course, I latched onto the latter section. The story of Tig and her now wife Stephanie Allynne is one that would fit the hall of fame of great romantic comedies. (If romantic comedies started including two women in love, that is.) As someone who has always been too much of a sap, I consumed Tig and Stephanie’s love story in every way I could. Luckily, there was a stand-up special, a book, and a television show to help me do this. In One Mississippi, an Amazon comedy series that loosely follows Tig’s experience after her mother’s death, Tig’s fictional counterpart (who’s played by Tig herself) opts to stay in Mississippi with her brother and stepfather. The second season, which came out last fall, improved upon the first, but it wasn’t enough to save the series from being cancelled. When that happened, I was equal parts devastated and angry. The show addressed blatant racism in the South, it brilliantly tackled a sexual assault plotline, and it told a tender queer love story that was like nothing I’d seen before. “It’s really something we have... Something big. Maybe so big, it was hard to accept because I’ve never really felt this way before. I want to be with you, like, all the time, in every possible way.” Kate, (played by Stephanie) on One Mississippi, says this to Tig in the Season 2 finale of the show. Two months before I watched this episode at my work cubicle and unsuccessfully tried to hold back tears, I had gone on a long midnight drive with my best friend, Emily, and by the time we returned home she had told me that she loved me. Suddenly, things were different. My chest was always warm, my mouth was always smiling, there was a person I wanted nothing more than to come home to. That version of me from 2015 was right to have believed in love, and she didn’t even know the half of it. The concept of representation is one that is solid and fluid at the same time. There is such an innate simplicity about seeing oneself on screen, and yet the idea of who we are can change and evolve so much over time. When I got to Seasons 4 in my Buffy marathon at age 13, I felt representation as an itch in my stomach that made me lean closer to the television to somehow scratch it. When Willow, my favorite character, began falling for a woman, I felt something I couldn’t name, an excitement and satisfaction at the same time. I couldn’t wrap my head around what it was at that age. Being in love meant craving a whole new kind of representation. Love stories are everywhere as far as the eye can see—following me into movies, making me cry at Carly Rae Jepsen songs—but something in me craved seeing the same kind of love that I had recently felt. One that focused on just how much two women wanted to be in each other’s life. My breath kept catching in my throat when I watched all of Season 2 of One Mississippi in one day. 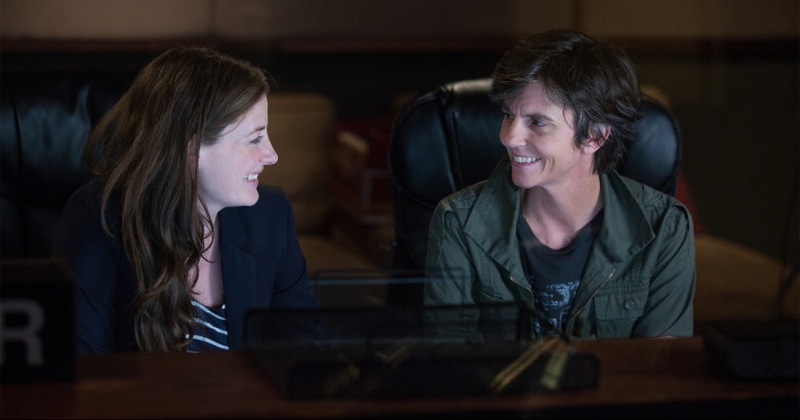 Small moments between Tig and Kate before they even got together made me think back on moments in my friendship with Emily: the way they took care of each other, understood each other, caught each other’s eyes. The series was so clearly written by two people who were in love and who simply got each other that it made me believe in love all over again, even when I was in the throws of it. Over the last decade of consuming too much media, I have seen stunning depictions of two women in love, horrible depictions of two women in love, and everything in between. While people are–agonizingly slowly–learning that there isn’t one way to depict a queer relationship, I feel endlessly fortunate that I’ve found one that looked and felt like mine. Raina Deerwater is the Entertainment Research Assistant at GLAAD. She conducts research for GLAAD's annual Studio Responsibility Index and Where We Are on TV reports, working for more accurate and inclusive LGBTQ representation. She is a graduate of Emerson College.